These videos are aimed at teachers, educationalists and parents. 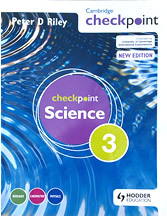 They go into detail about the Checkpoint Science series and describe the features to help children attain the highest grades in the examination. 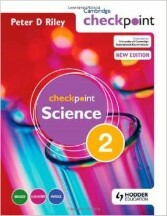 When I give a talk about my work and my books I feature the checkpoint science books. I give these talks locally in the UK, but due to the worldwide interest in the checkpoint books I have made four short videos about how I came to write them and how they can be used to set up a checkpoint science course. 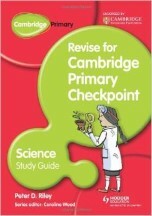 This Study Guide supports revision in preparation for the Cambridge Primary Checkpoint test at the end of Stage 6. It contains revision activities for all the strands of the Cambridge Primary Science curriculum: Biology, Chemistry, Physics and Scientific enquiry. It can be used independently for homework or additional practice, or alongside the Teacher’s Guide in the classroom. ‘Revision tips’ to help your children make the most of their study time. ‘Key facts’ to explain all the important information, with clear examples. Lists of key words and a glossary of useful scientific vocabulary. Lots of questions to help you practise important skills. Fun ‘Science challenges’ to build your confidence and investigations to develop your science enquiry skills. End of chapter tests to help you check your understanding and show you where you need more revision. In the preface of each of these three books I address the student as I would when introducing the course at the beginning of the academic year. I follow this with the first chapter which is aimed at where they are in their science course. In book 1 I introduce all the laboratory equipment as I would in class when I used to bring it out of the cupboards and pile it up (safely) on their benches. In book 2 I review with them what they learnt the previous year, then challenge them to bring creative thinking, more complex science concepts and calculations into their science work. In book 3 we look at the idea of a scientist growing up, identify the signs of a scientist and let the students assess where they are on the way to becoming a scientist. At the end of the three year course I introduce the idea of the theory of everything and challenge the to explain the processes going on around them in scientific terms to show how biology, chemistry and physics are interrelate. 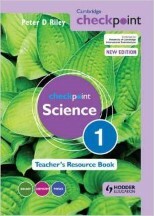 Each student book addresses one of the stages (7 – 9) of the Science Framework, covering Biology, Chemistry and Physics in a single handy volume. The book has three sections, each covering one science discipline, so teachers can still teach the three science separately if they prefer. The introductory chapter includes a new section on Scientific Enquiry, reflecting the focus of the new framework. The questions in this book complement those in the students book and show the student how the science they are learning and discussing through questions in the students book will be examined in a test situation. This helps them to build a familiarity and confidence with the format before they sit their examinations. The size is handy both for the student working through questions and the teacher marking them. At the end of each chapter there is a space for teachers to write their comments and advice to further assist the learning process. The workbooks provide extra practice questions following the structure of the Students books. Students can write their answers in the workbooks which can be used for homework or in the classroom. 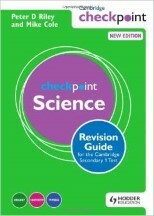 It provides essential practice with questions in the style of the Progression and Checkpoint tests and builds Scientific Enquiry skills with clearly identified exercises throughout. The text and illustrations match those used in the students books to provide familiarity and build confidence. The questions in the sections ‘Check your understanding’ and ‘Spotlight on the test’ prepare the students by allowing them to reflect back on what they should know and see how it might be tested in the exam. 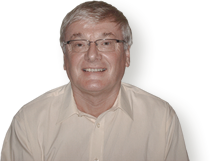 Provides Tips for success written by Mike Cole who is an experienced examiner and Deputy Director/Secondary Professional Development Leader at the Science learning Centres. This book can be used in arrange of ways to suit your teaching strategy. You may like to use it before or after the learners have used the accompanying Study Guide, or you may like to integrate their work with its activities and investigations. The content of this book is self contained so you could use it as a revision course throughout the year, and then check progress with the Study Guide towards the end of the course. 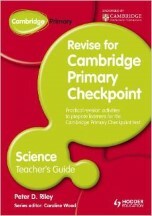 This teacher’s guide is divided into three chapters – Biology, Chemistry and Physics to match the Cambridge Primary Science Curriculum Framework. Each chapter contains teaching notes with revision activities and photocopiable pages to use with a scientific enquiry investigation. The teaching notes contain a list of ‘Learning objectives’ from the Biology, Chemistry, Physics and scientific enquiry areas of the framework , followed by a ‘Let’s revise’ section of engaging revision activities and a ‘Scientific enquiry’ section. The ‘Scientific enquiry’ section provides background information, details of resources required and a list of key discussion words that should be used with the learners as they work on the investigation to increase their use of scientific vocabulary. Answers to tasks on the photocopiable pages can be found at http://www.hoddereducation.com/checkpointextras. The teaching notes contain ‘Top tips’ which offer a range of strategies and key facts to help the learners remember their work. Finally, the book also includes ‘Quick quizzes’ and ‘Practice tests’ which can be used to prepare learners for the Cambridge Checkpoint test. I used my experience as Head of Science of a large science department of fifteen full and part time teachers and four technicians during a period of curriculum change to help me write these books. All the information is set out clearly for easy reference during departmental meetings and for use back in the classroom preparing and marking work. 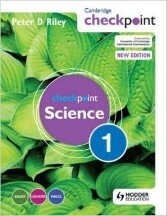 These resource books are matched to the revised Cambridge Secondary 1 Curriculum Framework for Science. 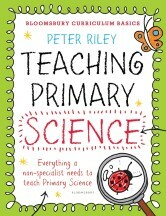 Scientific Enquiry is covered in detail in the introductory chapter of each book and is also featured in the teachers’s notes for each chapter. It is supported by photocopiable worksheets on lesson planning, three detailed investigation sheets, a Making a scientific enquiry worksheet and a Scientific Enquiry Checker. Each chapter contains a summary of the work, chapter notes which provide background information and teaching suggestions, answers to the questions in the student’s book, lesson ideas, practical activities, homework activities and supporting worksheets. Each book ends with two practice tests and their marking guidance and a photocopiable glossary for the students.